Lovingly harvested from plants native to exotic destinations around the world, the 10 essential oils in White Angelica come together to create a one-of-a-kind blend. Geranium, Ylang Ylang, Melissa, and Rose provide sweet, floral notes; Bergamot and Melissa offer a boost of bright citrus; and Myrrh, Northern Lights Black Spruce, Hyssop, and Sacred Sandalwood balance the blend with a warm, woodsy base. With the aroma of White Angelica essential oil blend, you can create a positive atmosphere and inspire feelings of security and optimism—no matter what life throws at you. People also love White Angelica for its skin-beautifying benefits. Add a couple drops to your favorite lotion to give your skin the TLC it needs. Diffuse White Angelica to create a peaceful, nurturing environment in any space. 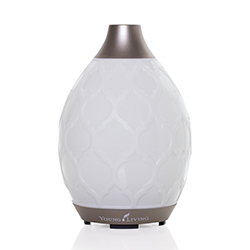 Use it during yoga or meditation to create a positive and comforting atmosphere. 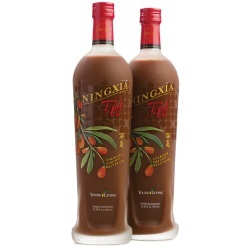 Add it to your favorite moisturizer to enjoy its skin-beautifying benefits. 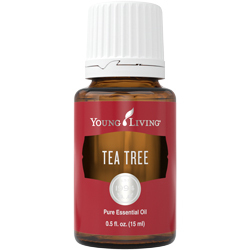 Apply it to your wrists and neck like perfume to enjoy a lovely fragrance throughout your day. Apply it before providing the Raindrop Technique or other massage or body work treatment. Enhance the sense of sanctuary in your home with the inviting aroma of this inspired blend. Cultivate quiet and calm wherever you seek spiritual elevation when you surround yourself with this rich, warm scent. 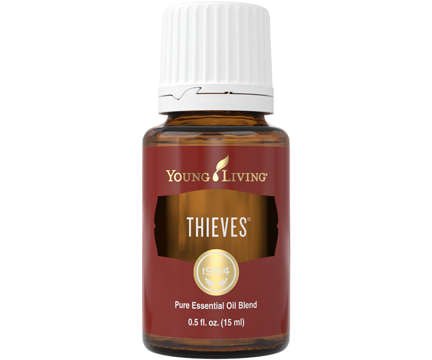 Transform your desk into a haven of inspiration with this blend’s bright citrus and deep woodsy fragrances. Add an air of elegance to a relaxing spa day with floral scents such as Ylang Ylang, Rose, and Geranium. Add a touch of warmth, peace, and comfort to any space by diffusing White Angelica’s sweet, floral, earthy aroma. Topical: Apply 1-2 drops to desired area. Dilution is not required, except for the most sensitive skin. CAUTIONS: Keep out of reach of children. For external use only. Keep away from eyes and mucous membranes. If you are pregnant, nursing, taking medication, or have a medical condition, consult a health professional prior to use. Avoid direct sunlight or UV rays for up to 12 hours after applying product. Each essential oil in White Angelica was carefully selected to help promote a positive, peaceful atmosphere when diffused. Ylang Ylang has a luxurious, velvety scent and is often used as a key note in perfumes. Bergamot is cold pressed from the resin of the bergamot fruit and adds a fresh, bright aroma. Although Melissa comes from the leaves of the melissa herb, it also has notes of citrus and is treasured for its gentle, comforting aroma. Geranium has been used for centuries for its lovely, soft fragrance and skin-benefiting properties. The classic scent of Rose gives the blend a touch of sweet nostalgia and offers skin benefits. Myrrh, Hyssop, Black Spruce, and Sacred Sandalwood balance the sweet and fresh aroma of the floral and citrus oils with a deep, rich, earthy scent. 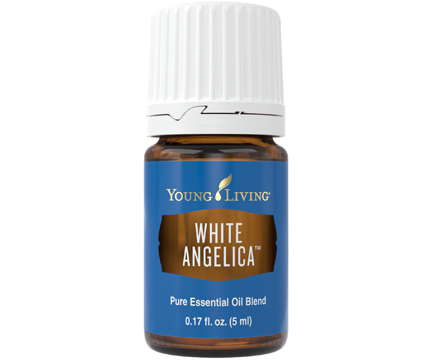 White Angelica essential oil joined the Young Living family in 1994.